About company: Zydus Cadila is a fully integrated, global healthcare provider, with strengths all along the pharmaceutical value chain. 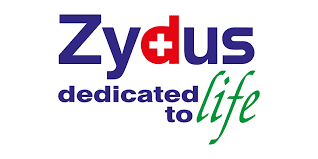 With a core competence in the field of healthcare, Zydus Cadila provides total healthcare solutions ranging from formulations, active pharmaceutical ingredients and animal healthcare products to wellness products. Recently, the group launched Exemptia, the world’s first biosimilar for Adalimumab, the largest selling therapy worldwide for inflammatory arthritis. Zydus is also the only Indian pharma company to launch its own patented NCE – Lipaglyn, a novel drug approved for the treatment of diabetic dyslipidemia.